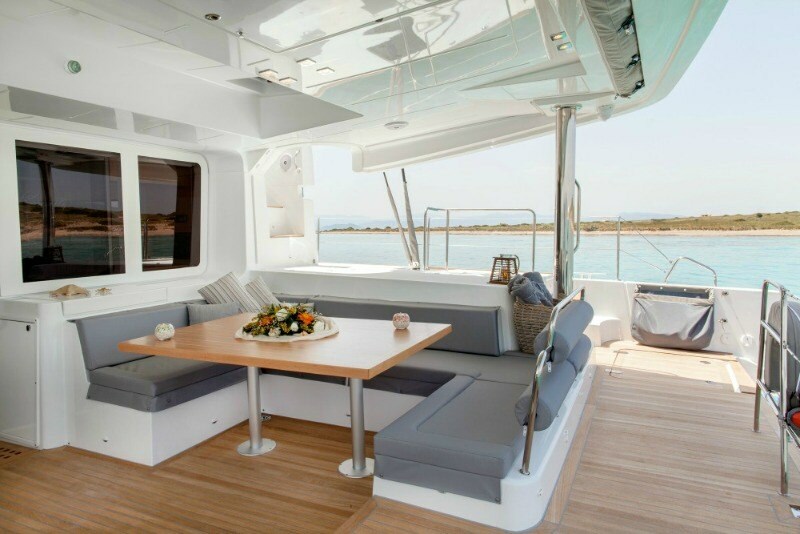 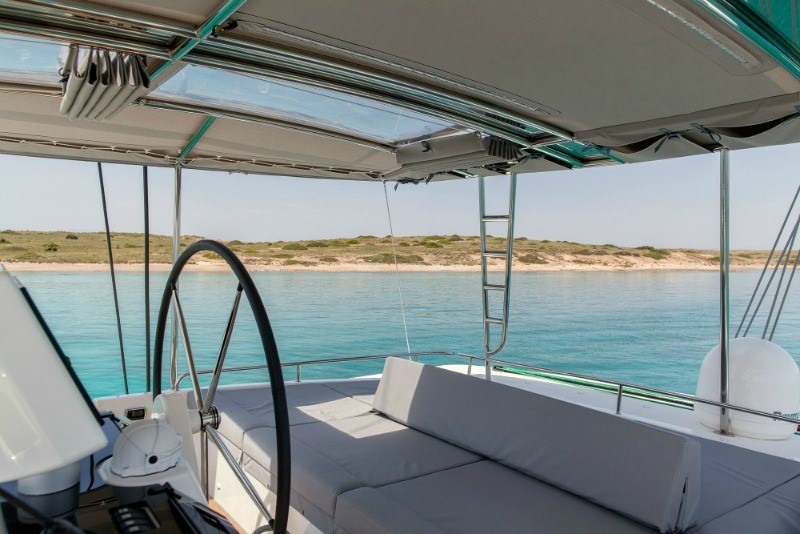 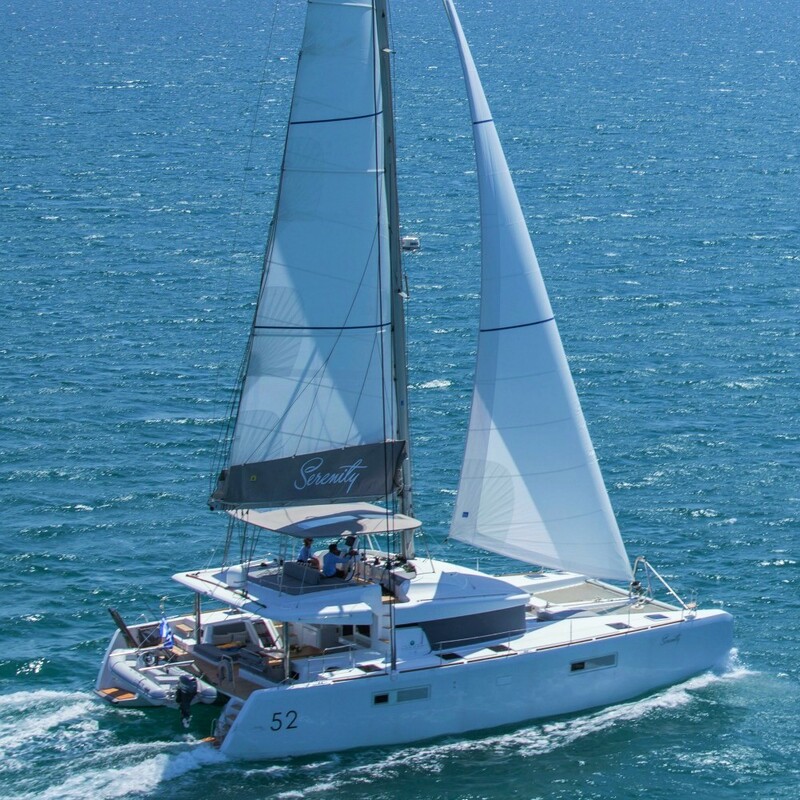 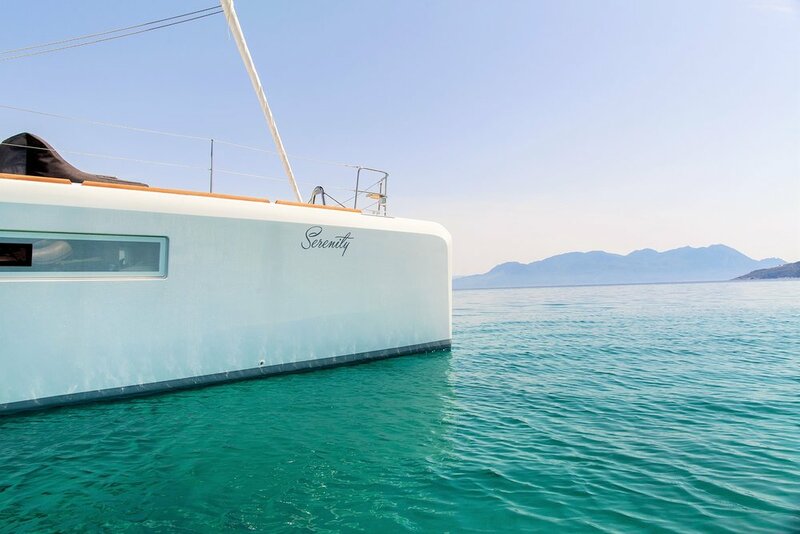 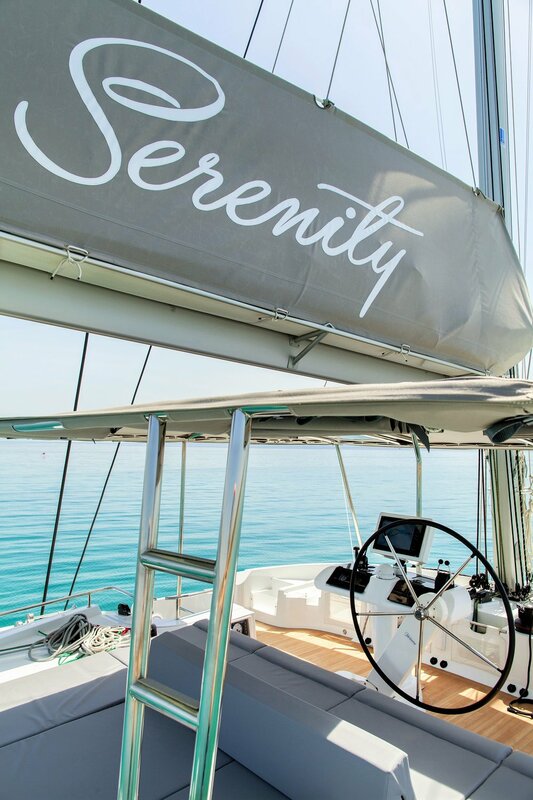 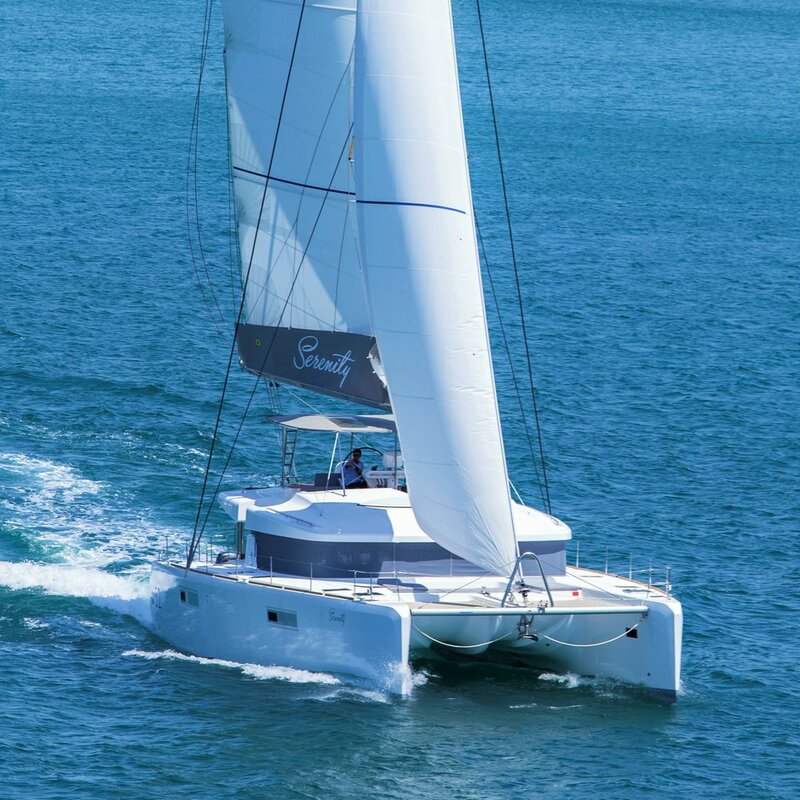 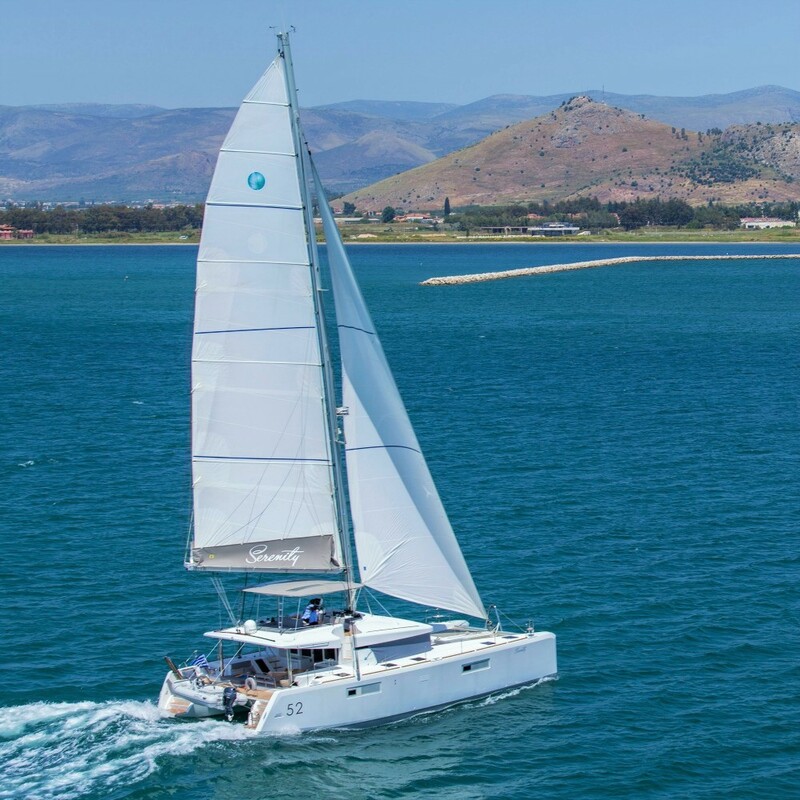 Everything about Serenity, a Lagoon 52, feels inviting and spacious. 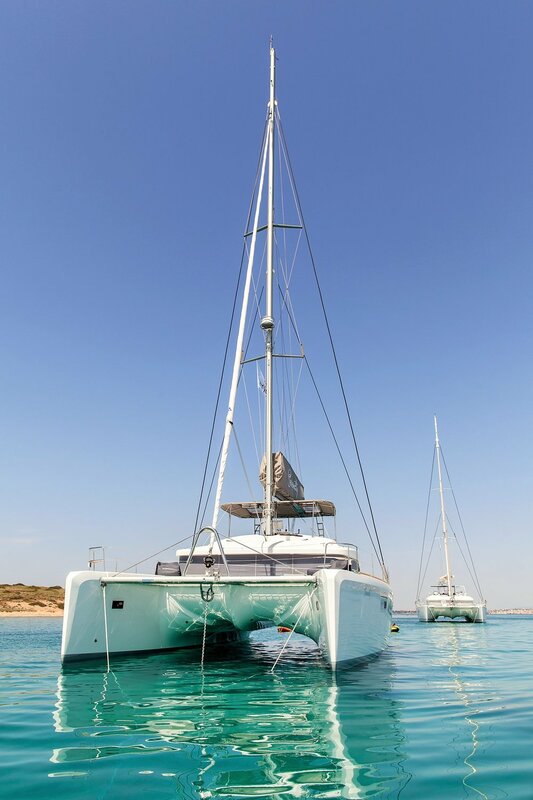 If there is one word that best describes her it is BIG! 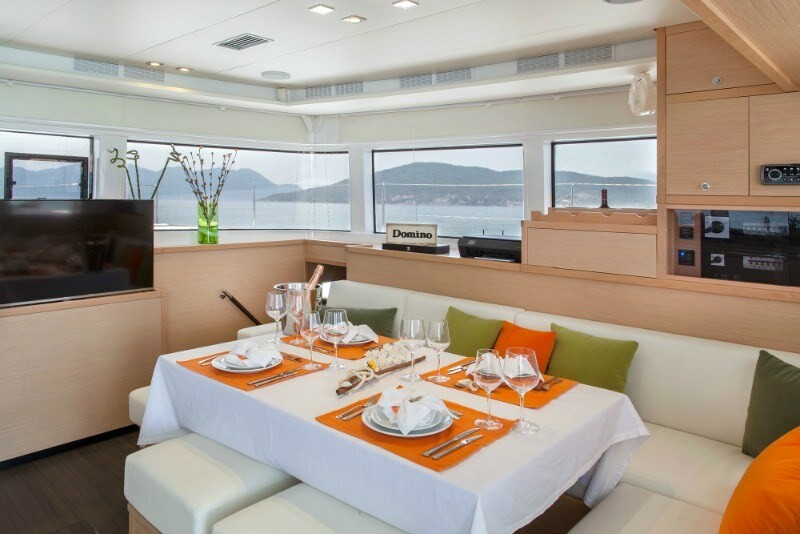 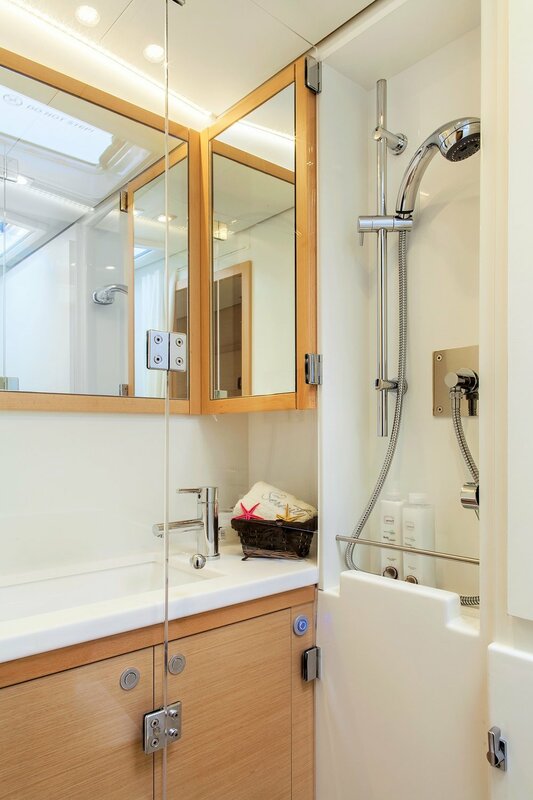 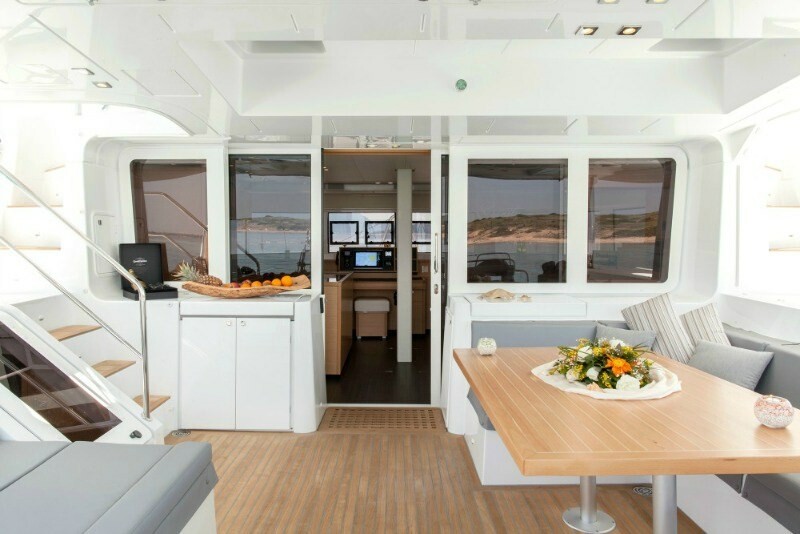 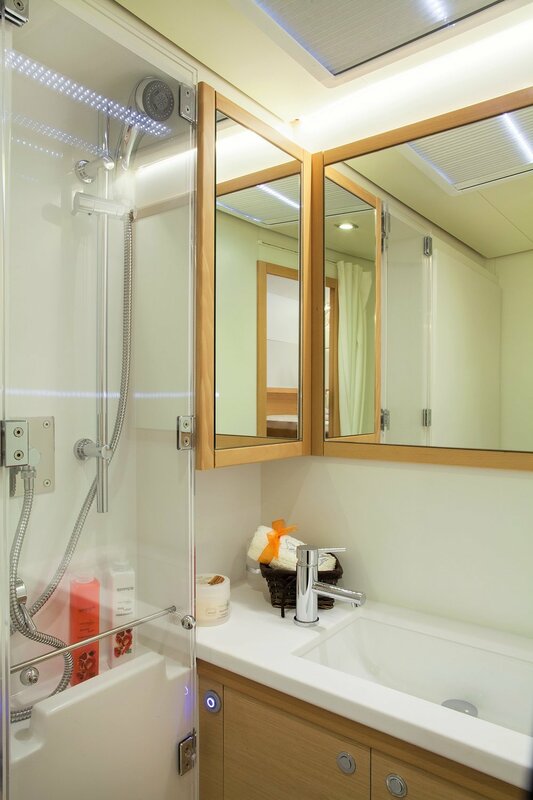 She boasts 6 guest cabins, with en-suite bathrooms, incomparable natural lighting and excellent ventilation. 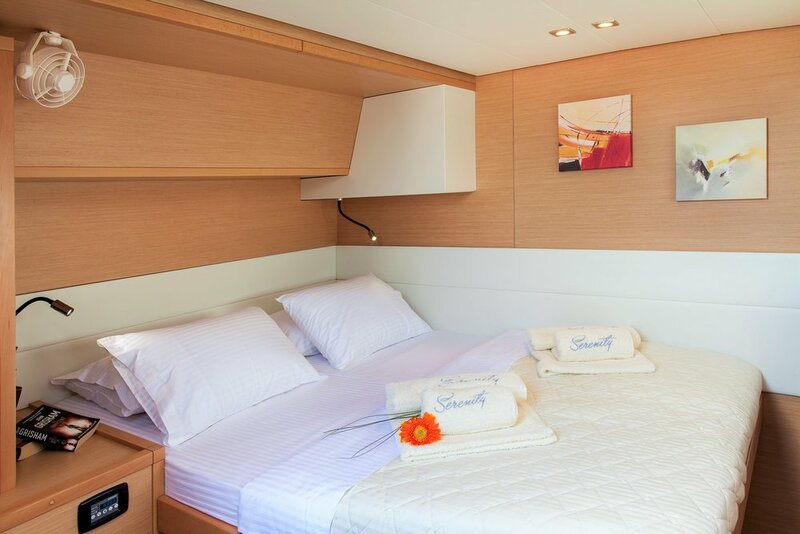 Enjoy her roomy, contemporary interior or relax in one of the elegant exterior spaces ideally designed for entertainment and socializing of large families or groups of friends. 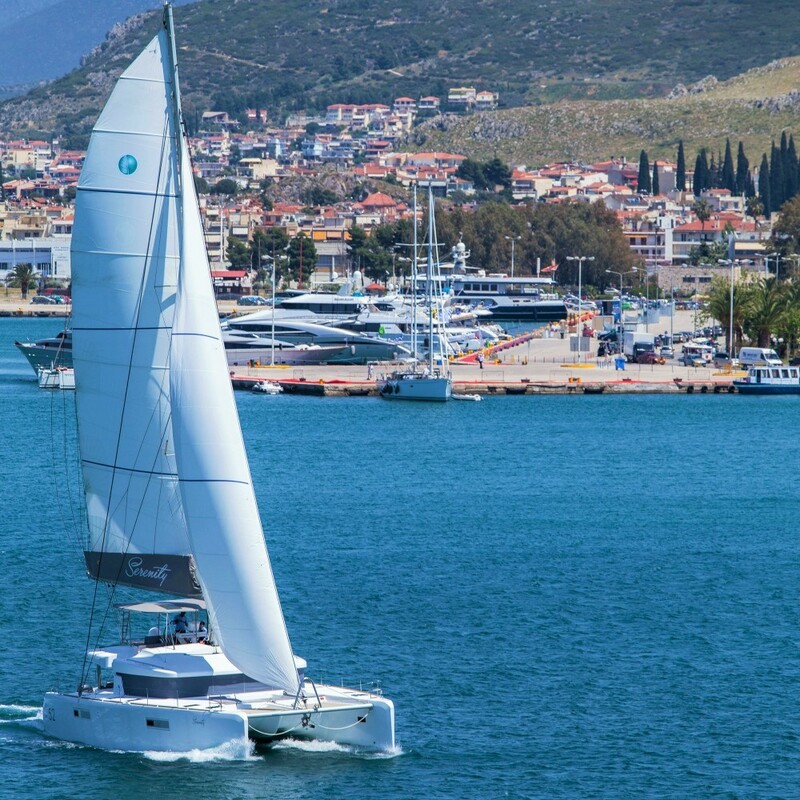 Captain Koloniadis began sailing at an early age and was a member of the Greek National Sailing Team. 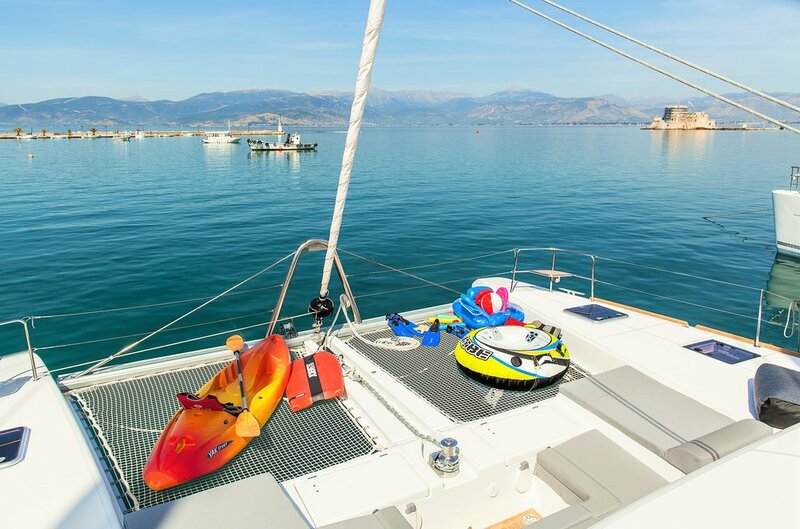 With his diverse experience on the water and sense of humor, he's ideal for showing you his beautiful country. 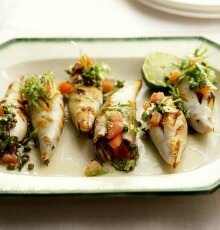 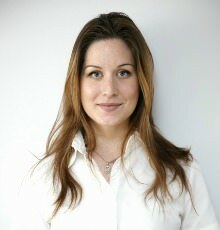 Chef Xenia, welcoming you in Greek, English, French or Spanish is eager to create a perfect holiday environment for her guests. 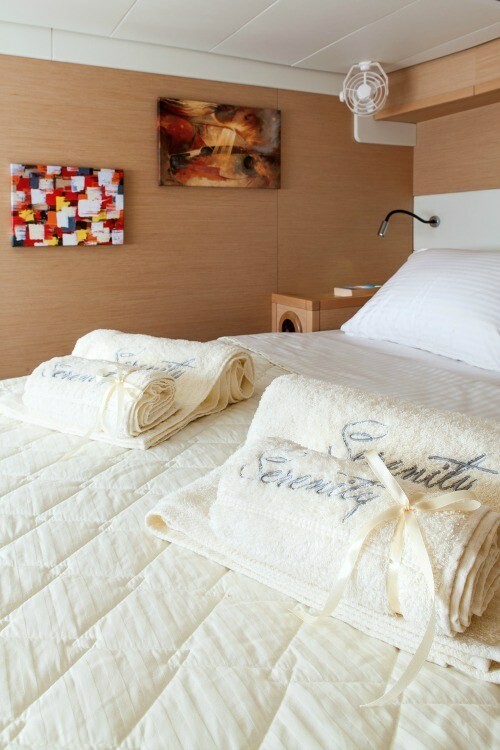 Come experience Greece on Serenity! 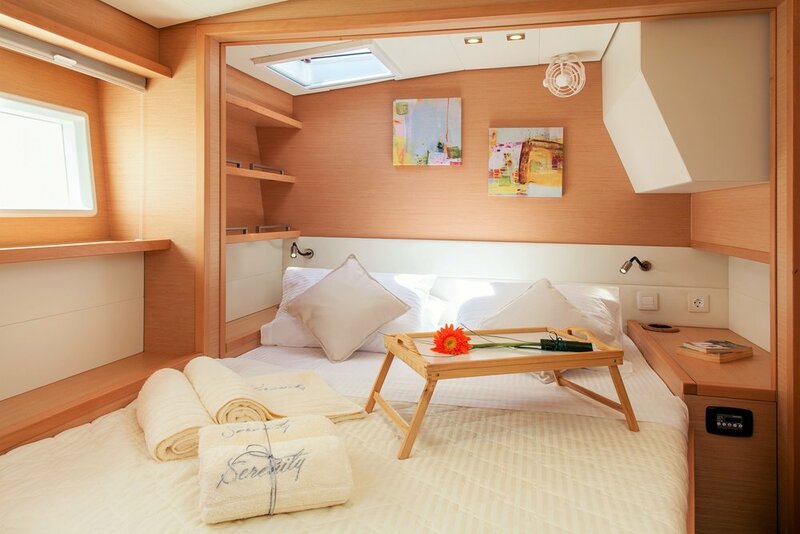 She is a floating dream villa offering each day a different undisturbed sea view to best spots in the country!